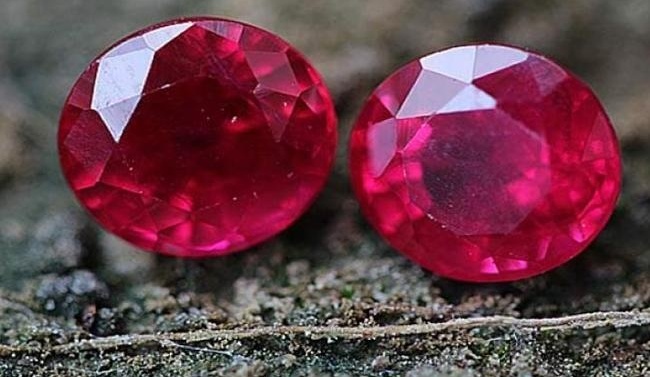 CHITTA KATHA, AJK: The people of Azad Kashmir are sitting on a treasure chest: Millions of rubies, estimated to be worth up to half a billion dollars, are lying beneath them. But archaic tools and a lack of investment in infrastructure and techniques are hampering efforts to transform the area into a significant player in the gem industry. “We have rubies that are at least as good as the Burmese, but their mining techniques are more sophisticated”, says Huma Rizvi, a dealer in precious stones. Kashmir has just one mine and one exploration site, where miners dig to assess the potential of the jewels below. But the region has proven reserves of more than 40 million grams of rubies, and inferred resources of nearly 50 million grams, according to geological surveys commissioned by the provincial executive. 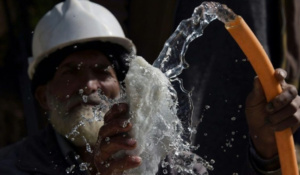 Muhammad Azeem spends four months a year toiling in the Chitta Katha mine on the slopes of the Himalayas, which requires an eleven hour drive and then two hours walking to reach from Muzaffarabad, the capital of Azad Kashmir. “I drill in the mine before the explosives are placed for blasting… It´s a very hard job,” the miner told AFP, using an old-fashioned perforator at the bottom of poorly ventilated tunnels. It is back-breaking work with only occasional rewards — last year workers discovered a ruby the size of an egg. Experts believe tapping into the gem reserve could transform the fortunes of a region home to four million people largely living off modest incomes. Yet precious stones currently account for less than one percent of Kashmir´s tax revenues. The authorities do not have the funds to buy new machinery or to build more mines, explained Shahid Ayub, director general of the Azad Kashmir Mine and Industry Development Company (AKMIDC), a public company responsible for developing the local industry. For Kashmir´s rubies and other mineral resources — such as copper, gold and silver — to contribute more to economy, there must be more investment in local expertise and development of a legal framework to support the mining sector, dealer Rizvi says. But private firms are discouraged by the very rugged terrain and proximity to the Line of Control (LoC), the de facto border with India, where cross-border firings are frequent. Even the major international mining companies are reluctant to invest. Another issue is the lack of regulation, Rizvi explains.